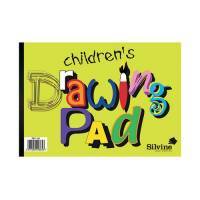 Silvine Childrens A4 Drawing Pad (Pack of 12) 420 Pack of 1 Silvine 420 children's drawing pad. Contains 20 A4 landscape pages. 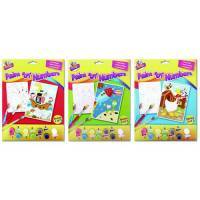 Tallon Paint By Numbers 3 Designs (Pack of 12) 5113 Pack of 1 Tallon Artbox Paint by numbers 5113. Childrens designs. 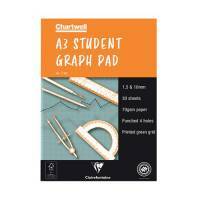 Chartwell A3 Graph Pad 30 Leaf J13B Pack of 1 "A high quality pad printed Blue on 70gsm wove paper, punched 4 holes. Individually shrink-wrapped. 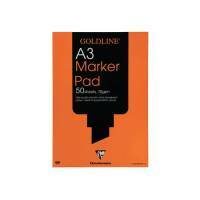 A3 pad, 30 sheets (Orange) 1,5 and 10mm. (A4 shown)." Chartwell Blue Student Graph Pad 5mm Quadrille J6Q4B Pack of 1 "A high quality pad printed Blue on 70gsm wove paper, punched 4 holes. Individually shrink-wrapped. A4 pads have 50 sheets (Blue) 5mm quadrille." 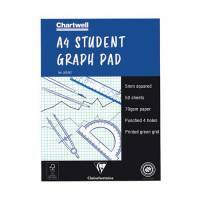 Chartwell A4 Graph Pad 50 Leaf 1/5/10mm J14B Pack of 1 "A high quality pad printed Blue on 70gsm wove paper, punched 4 holes. Individually shrink-wrapped. A4 pads have 50 sheets (Orange) 1,5 and 10mm." Chartwell A4 Graph Pad 50 Leaf 2/10/20mm J34B Pack of 1 "A high quality pad printed Blue on 70gsm wove paper, punched 4 holes. Individually shrink-wrapped. 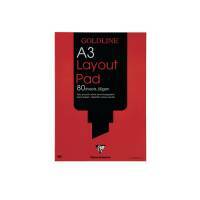 A4 pads have 50 sheets (red) 2,10 and 20mm." 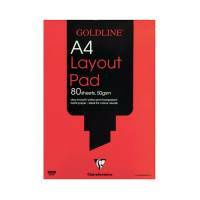 Goldline White A3 Marker Pad GPB1A3 Pack of 1 "50 sheets of smooth White, 70gsm paper per pad. Virtually eliminates spread, is bleed proof and allows ink to dry quickly and evenly. Ideal for presentation visuals. Size A3." 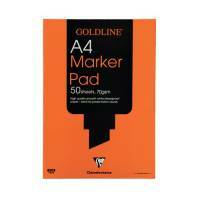 Goldline Marker A4 Pad GPB1A4 Pack of 1 "50 sheets of smooth White, 70gsm paper per pad. Virtually eliminates spread, is bleed proof and allows ink to dry quickly and evenly. Ideal for presentation visuals. 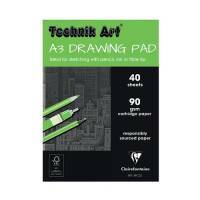 Size A4"
Technik Art Drawing A3 Pad XPC3 Pack of 1 Quality 90gsm cartridge paper. Ideal for sketching with coloured and graphite pencils or ink. 40 leaf pad A3. Individually shrink-wrapped. 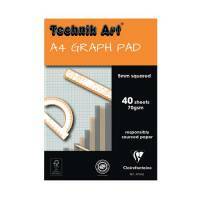 Technik Art A4 Graph Pad 1/5/10mm 40 Leaf XPG1 Pack of 1 "Art Graph Pad printed with Blue grids and individually shrink-wrapped. Each pad contains 40 pages. Ruled 1, 5 and 10mm. Size: A4." 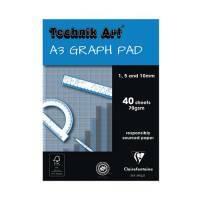 Technik Art A3 Graph Pad 1/5/10mm 40 Leaf XPG2 Pack of 1 "Art Graph Pad printed with Blue grids and individually shrink-wrapped. Each pad contains 40 pages. Ruled 1, 5 and 10mm. Size: A3." Technik Art A4 Graph Pad 5mm Quadrille 40 Leaf XPG6 Pack of 1 Art Graph Pad printed with Blue grids and individually shrink-wrapped. Each pad contains 40 pages. 5mm Quadrille. Size: A4. 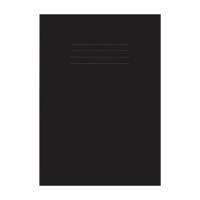 Q-Connect A4 5mm Quadrille Memo Pad (Pack of 10) KF32008 Pack of 10 Q-Connect Memo Pads. Manufactured from quality bond paper that accepts ink without bleeding or feathering and features a board back for rigidity. Each pad has 80 sheets of unpunched quadrille ruled White paper. A4. Q-Connect A4 Graph Refill Pad 80 Leaf (Pack of 10) KF02231 Pack of 10 Q-Connect A4 Refill Pads. Pre-punched pads with two-holes suitable for use with any 2 ring binders or lever files and sturdy covers protect your notes from dust and dirt. Each pad contains 80 sheets of quality white graph paper.